There’s no shame in napping — practice this hack and you will be in good company. Kevin Durant, LeBron James, Steph Curry… just to name a few. I was amazed to hear that Roger Federer sleeps 11–12 hours per night. During Wimbledon he rents two houses — one for him, one for his family. He’s serious about rest, recovery and sleep. And he’s not the only one. I’m not a professional athlete, far from really. I do find myself looking to athletes for all sorts of health and wellness hacks — after all, they need all of the edge they can get to succeed, right? What’s good for the goose, is good for the gander. Grueling training schedules and frequent travel can leave professional athletes seriously lacking in one of the things they need most to perform their best — sleep & adequate rest. And in times when sleep has not been optimal it’s napping that helps athletes focus. Sleep disruption can be caused by a number of factors including intense training regimes, short- and long-haul travel and the pressures of competition. A study at the Australian Institute of Sport found elite athletes slept well below the recommended 8 hours a night, with athletes from team sports sleeping 7 hours and those from individual sports sleeping only 6.5 hours. Sleep loss increases levels of the stress hormone cortisol and decreases production of glycogen and carbohydrates, the energy stores we use during exercise. According to the National Sleep Foundation lack of sleep increases the chances of fatigue, low energy, and poor focus during competition. A study of college athletes showed that lack of sleep resulted in slowed reaction times. This could harm not only your score, but also put you at greater risk of injury. Sleep deprivation has been shown to increase the number of injuries among adolescent athletes. It is also believed to slow recovery after exercise. In a 2013 study of rugby-league footballers, researchers found sleep deprivation negatively affected the players’ recovery after a match, significantly impairing their jump distance and cognitive function. Sleep deprivation has even been tied to the longevity of major league ballplayers’ careers. 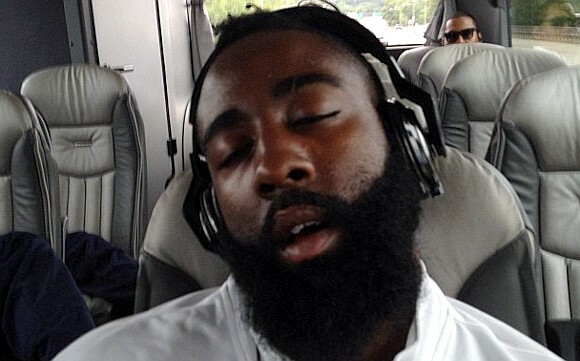 One study found that the players that recorded more sleepiness had shorter careers than players who were less sleepy. Thirty minutes of napping has been found to improve cognitive processes and motor control, but even 10 to 20 minutes can make you more alert, energetic and put you in a better mood. Short “power naps” are great because you don’t enter deep sleep so you don’t get that groggy feeling when you wake up. Napping is a great recovery tool between same-day training sessions. It can also be useful in reducing daytime sleepiness, especially for athletes that have early morning training sessions. The best time to nap is after lunch, generally between 1 and 3pm. I am definitely not training twice per day, but probably like you — I do have two solid working sessions broken up by a lunch break. And now more than a good reason to nap. There’s no shame in napping — we will be in good company. Kevin Durant, LeBron James, Steph Curry… just to name a few. So go on, switch on your phones silent mode and get some much-needed rest. Your body and you coach (boss) will thank you! Michael Ashton is the Growth Lead at Silentmode, a company that creates smart relaxation solutions that help people reduce stress and improve their performance. They are serious about the power of rest. You can check out their relaxation ecosystem here or join the community via their Instagram account.